"Hello, world." Meet Alexis Olympia Ohanian Jr. Serena Williams and Alexis Ohanian's daughter makes a splash with her adorable social media debut. "Hello, world." 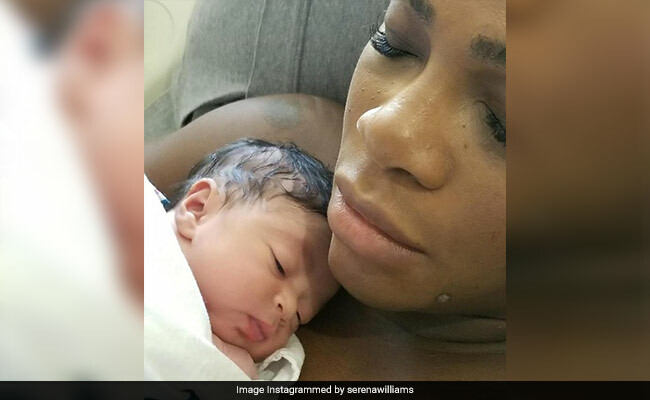 Meet Alexis Olympia Ohanian Jr. Tennis superstar Serena Williams and Reddit co-founder Alexis Ohanian's baby girl made her debut on social media with an adorable photo and video. Ms Williams shared a photo of their daughter, born on September 1, and Mr Ohanian posted a video on YouTube, documenting the most memorable moments from Ms Williams' pregnancy journey. 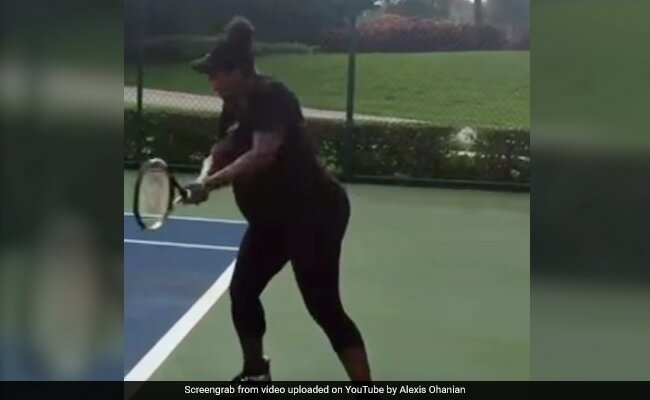 The video includes everything from the first ultrasound to that much-talked about Australian Open title, won while eight weeks pregnant. "Meet Alexis Olympia Ohanian Jr." wrote Ms Williams, posting a photo of herself cradling her newborn daughter on her official Instagram account on Wednesday. Ms Williams also posted a link to a two-minute YouTube video of her pregnancy journey and shared the video on Reddit, writing "We made this." The newborn is named after Ms Williams' fiance. In the video, she is referred to as "Junior." 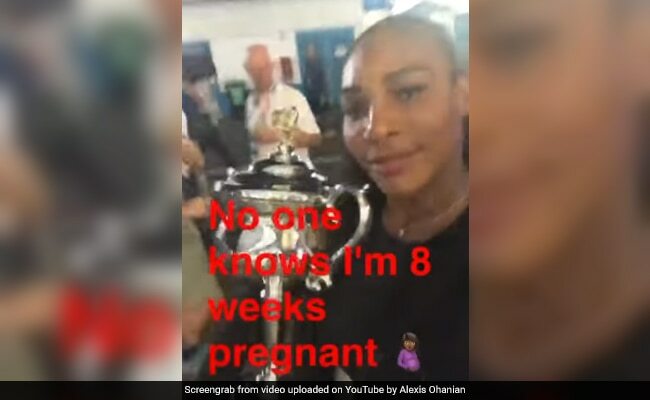 The video features a montage of clips recorded on cellphones and include Ms Williams clinging proudly to her Australian Open trophy, with the words "No one knows I'm 8 weeks pregnant" on the screen. In January, Ms Williams won the Australian Open for the seventh time while eight weeks pregnant. 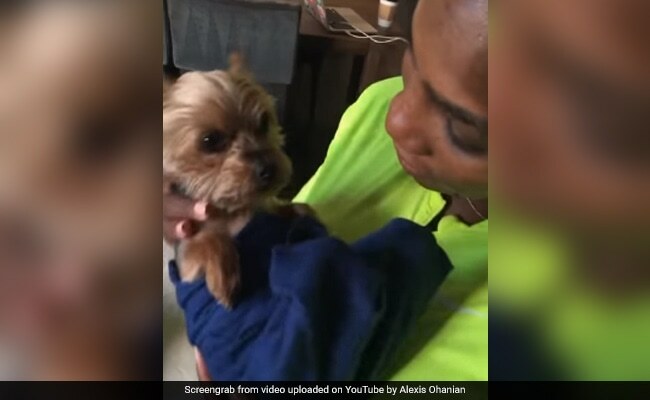 The video also includes adorable moments like the dad-to-be practicing his swaddling skills on their pet dog. Without going into specifics, Ms Williams also reveals she had "complications" that required a hospital stay of six days. "We had a lot of complications but look what we got, we got a baby girl," she says in one clip, holding her daughter. Since being shared 14 hours ago, the photo of baby Alexis has already been 'liked' over 8.5 lakh times on Instagram. The video has been watched over 7.5 lakh times and has the Internet going "aww." "Hope she inherited her mum's tennis skills," jokes one person. "Grand slam titles 1. She is already my idol along with her mother," writes another. "Thank you for sharing these precious moments with us," comments a third YouTuber. Ms Williams accidentally revealed that she was pregnant on Snapchat. She announced her pregnancy in April. In December, she and Mr Ohanian got engaged. Alexis Jr is her first child. The first-time mom has vowed to return to defend her Australian Open title next January.